This luxurious salmon terrine recipe from Bryan Webb showcases two completely different styles of smoked salmon – the thin, jewel-coloured slices of cold-smoked salmon with which we’re all familiar, and the meatier hot-smoked salmon which has chunky pale pink coloured flesh and a burnished exterior. 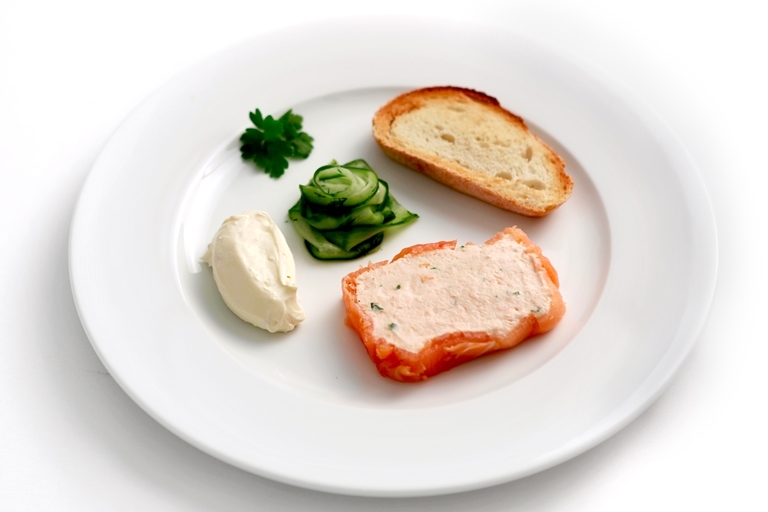 Best of all, this salmon terrine is much easier than its elegant presentation suggests but should be made at least six hours before serving. View our seafood recipe collection for more fantastic fish recipes.